RealD and Wanda Cinemas have launched a 3D Brightness certification scheme that will ensure that participating screens will be displaying at least 6footLamberts (6FL) of brightness. There is a fear that dim 3D images could soon lead to a similar 3D backlash that has already been experienced in the US. It is calculated that running a 6kW compared to a 3kW bulb will cost 30,000 yuan (USD $4,800) more per year, which is why tickets to these auditoriums will be at a higher premium. Perhaps an idea to export to the West. UK: Cineworld had a good Q1 but expect cinema attendance to slump during the World Cup – until England gets eliminated in the second round, that is. Hits including The Lego Movie, The Wolf of Wall Street and 12 Years a Slave helped Cineworld increase its share of UK box office takings from 26.9% to 27.6% in the first four months of the year, as the group pushed up ticket prices almost 5%, against a 1.9% rise in admissions. Cinema goers have been more willing to spend on popcorn and fizzy drinks, and now Starbucks coffee, as retail revenue rose 6.1% on last year. 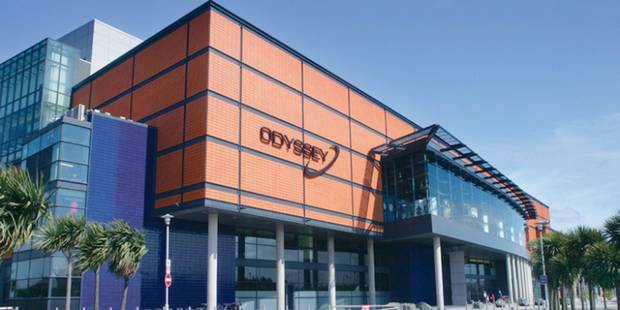 Ireland (North): The body that runs the Odyssey entertainment complex has rejected a bid to buy part of its lease. Dublin-based cinema operator Omniplex had made an offer to take over the lease of the Odyssey Pavilion. The complex contains an IMAX cinema, bowling alley, bars and restaurants. UAE: Re-branding time for a major cinema chain in the Gulf. 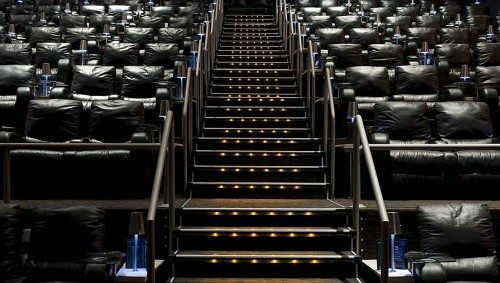 USA (CA): More proof that the future of cinema is luxury cinemas, from the people who helped develop the U.S. Cinéopolis luxury screens. La Jolla is losing its gourmet market but gaining its first cinema in 12 years. Movie theater veteran Adolfo Fastlicht and business partner Carlos Wellman, both of La Jolla, have signed a more than 20-year lease with Dallo Enterprises — which owns the property and operated Jonathan’s — to convert the building into a boutique, luxury cinema complex. La Jolla residents Carlos Wellman (left) and Adolfo Fastlicht discuss plans for their new theater complex on Fay Avenue at La Valencia Hotel May 5. The business partners helped launch and develop the Cineopolis Luxury Cinemas first five locations, including a location in Del Mar which opened in 2011. The La Jolla theater — the first venture for Fastlicht and Wellman’s company, Boffo Cinemas — will include seven screens with 50 to 60 leather recliners per auditorium, as well as a restaurant, bar and in-seat food and beverage service. 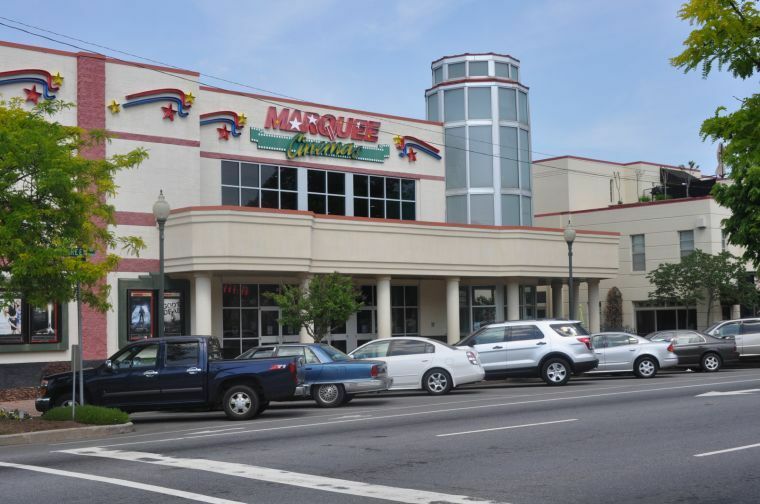 USA (NC): A robber held up Marquee Cinemas in Morganton, NC, at gunpoint this past Tuesday. On a previous occasion the Carmike Westgate Twin Cinema in nearby Lenoir was robbed by an armed perp. According to Morganton Department of Public Safety Investigator Tim Corriveau, at 11:50 p.m., dispatchers received a call that a man robbed the theater at gun point. Ireland (Republic): Building a cinema within 3 kilometers of one that is already not doing well is perhaps not the smartest of ideas. An Bord Pleanála’s decision to grant permission to build a seven screen cinemas at the Dundalk Retail Park will make grim reading for management at IMC Dundalk. 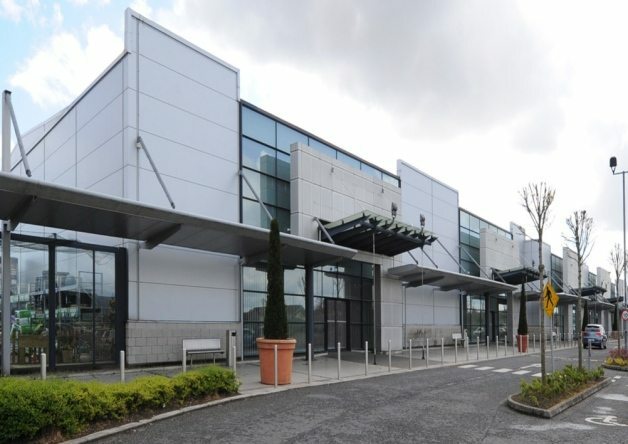 In its objection to the plans for the new cinema at Dundalk Retail Park, IMC Dundalk, stated that its own attendance numbers were down from 11% from the peak in 2007. USA (NY): Two cinemas in Rochester are in the process of digital upgrades, one of which is still running an online fundraising campaign. Theaters 2-5 underwent similar upgrades during summer 2013, and will continue to show films as normal. While Theater 1 will gain digital capabilities, there will be no lose to its ability to show traditional film, the Little said. The space will continue to be able to show 35mm film reel-to-reel. UK: Having given the go-ahead for the demolition of a historic art-deco cinema yesterday, Liverpool council has today given the go-ahead to a SECOND drive-in cinema. Clearly there are too many heritage cinema buildings but not enough car use in the north of England. 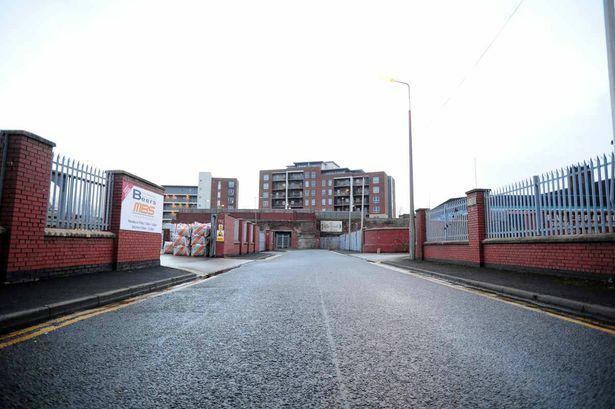 Liverpool is set to welcome its second drive-in cinema after councillors granted a licence for a 56-car ‘Moviedrome’. The venture, on a vacant plot of land off Kings Dock Street, in the Baltic creative area, will boast a giant inflatable screen and a £75,000 projector. 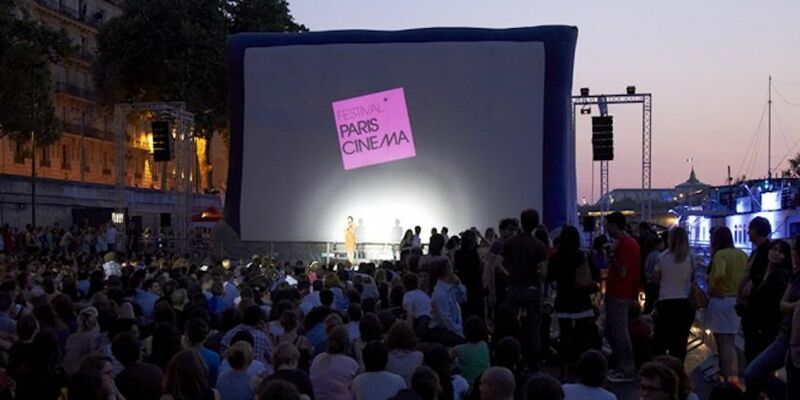 France: Even the country that gave the world cinema is not immune from budget cuts. 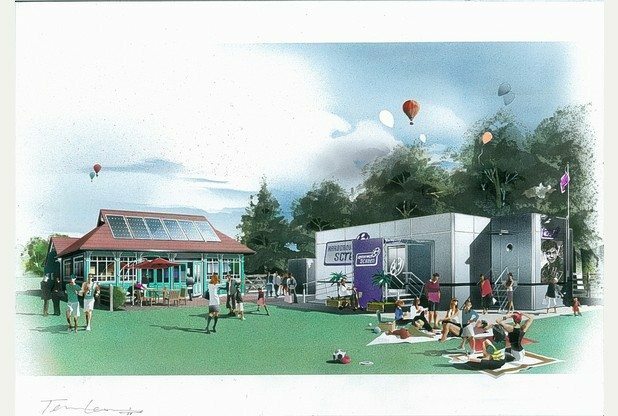 UK: Plans to convert Scottish Screens’ mobile cinema truck to a permanent theatre have collapsed. A lengthy campaign to bring a purpose-built cinema to a county town has collapsed despite the investment of tens of thousands of pounds, including council grants. Harborough Screen, which had intended to create a 100-seater cinema in a town park, has gone into voluntary liquidation. A meeting of creditors will be held on June 4. UK: Planning for a new cinema in Deal will have to be re-submitted after the Kent Highway said there wasn’t enough provisions for loading/unloading. The application for the Regent Cinema in Deal has been withdrawn after it received objections by Kent Highways. The planning proposal for a cinema and cafe at the former Bingo Hall in Beach Street was submitted last year after owners James Wallace and Mark Digwood bought the premises in 2010. 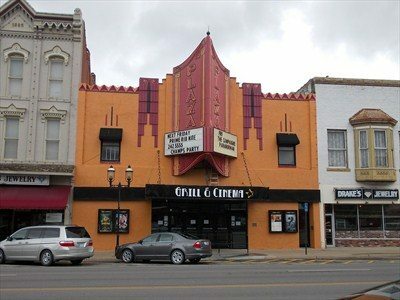 USA (KA): Ottawa, Kansas is soon getting a very special cinema museum – in America’s oldest working cinema. Movie fans soon will have the opportunity to revel in Hollywood memorabilia in downtown Ottawa. The fascinating history of this place can be found HERE. 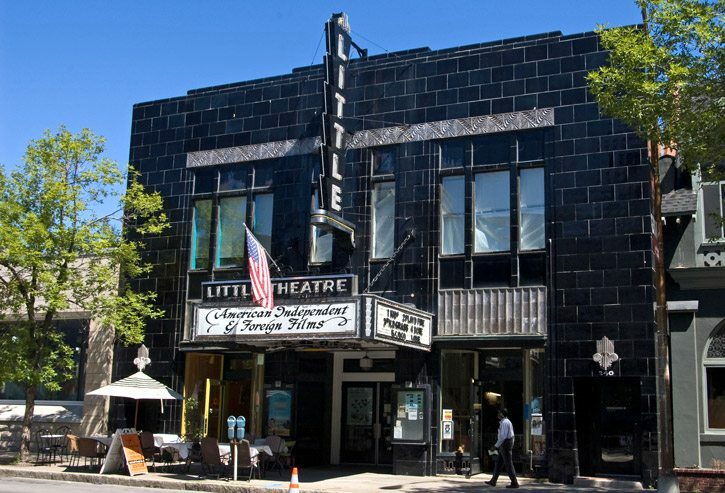 Barker also found a story about the stage still sitting behind the double screen today, where a piano player would play music during silent films. On March 2, 1917, The Crystal Theatre survived a fire during which a piano player by the name of Professor Mapes continuously played while instructing people how to exit the building in the safest manner.